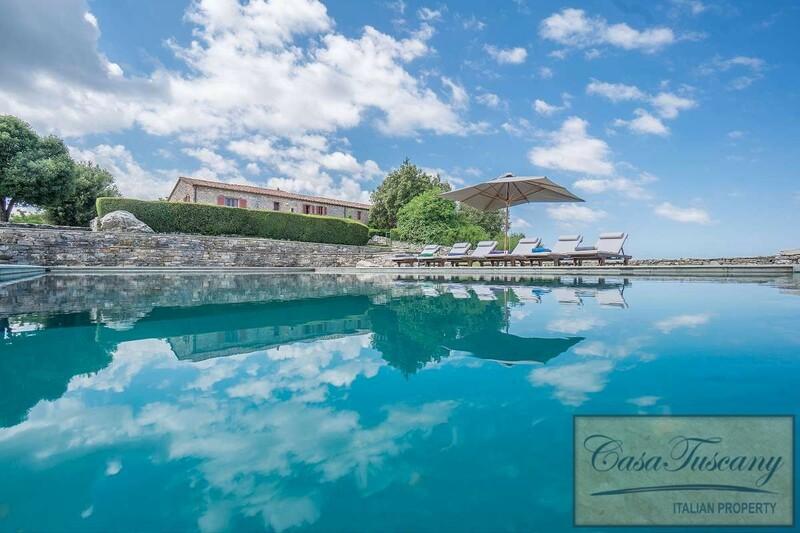 Beautifully restored 7 bedroom, panoramic, farmhouse with two 2 bedroom annexes, infinity pool and 70 hectares with 500 olive trees. 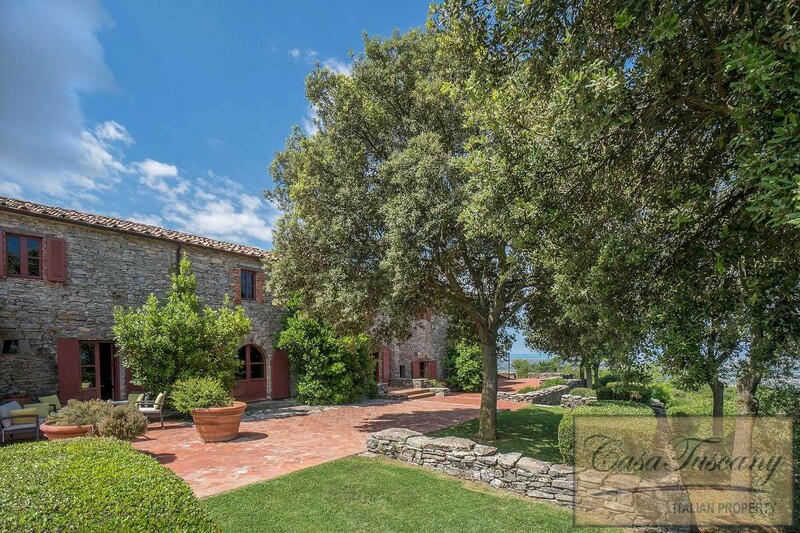 Coastal View Farmhouse. 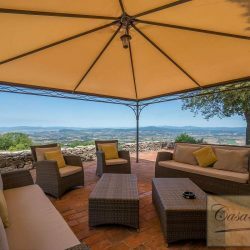 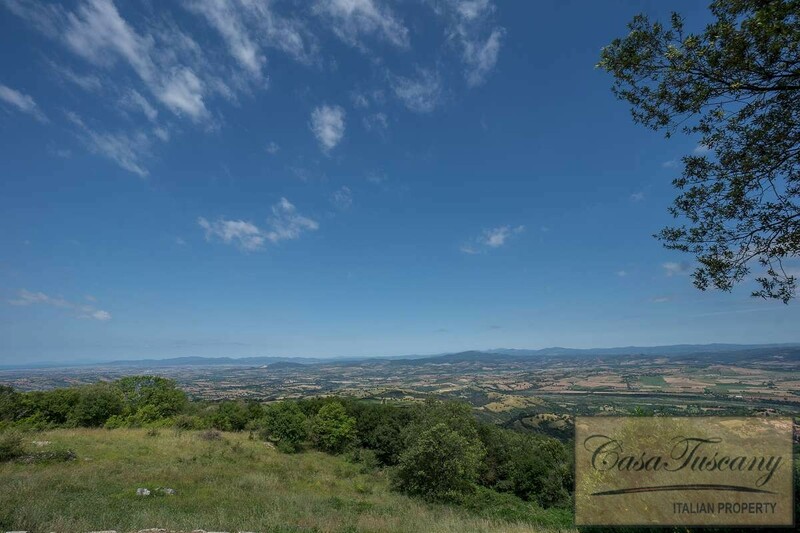 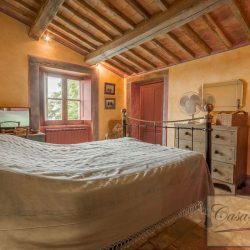 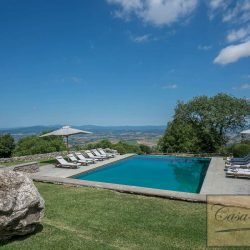 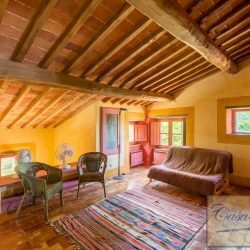 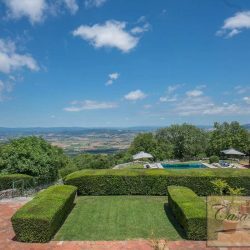 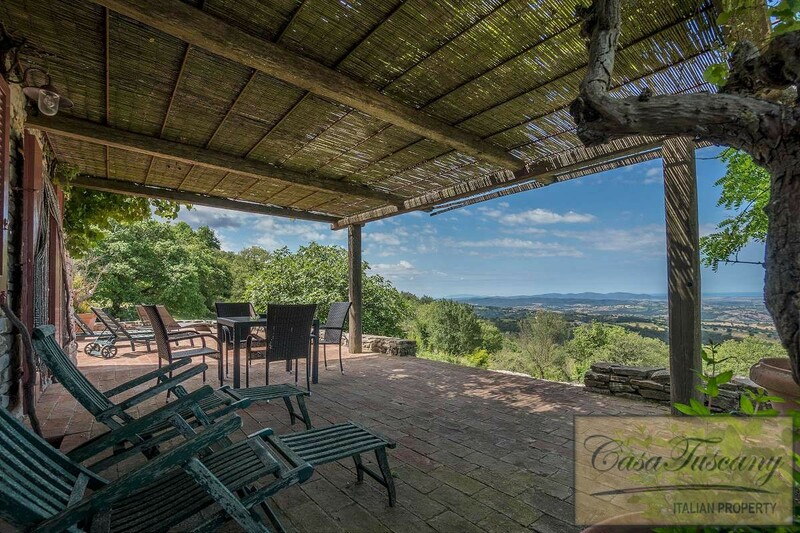 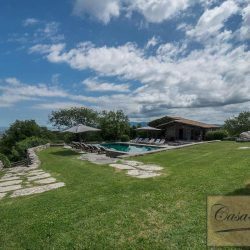 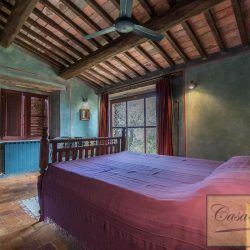 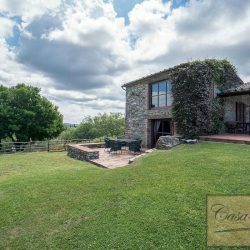 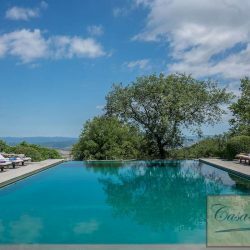 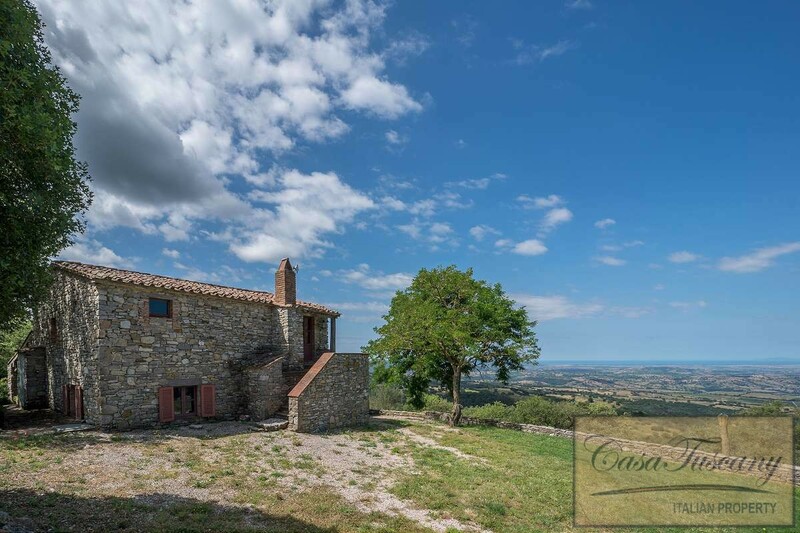 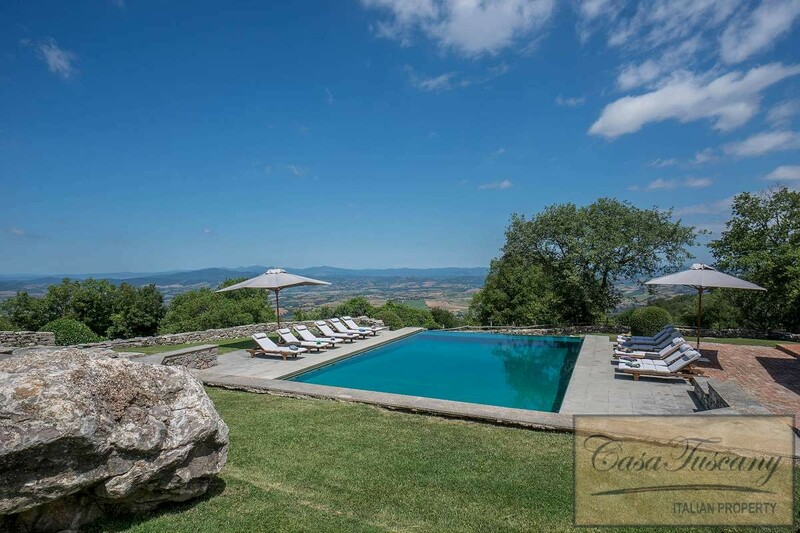 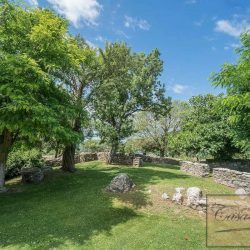 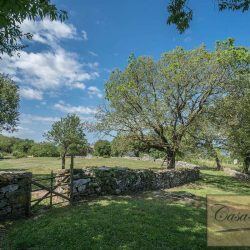 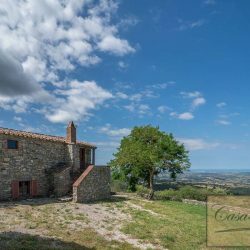 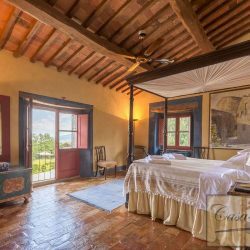 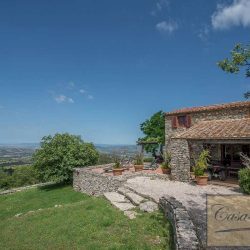 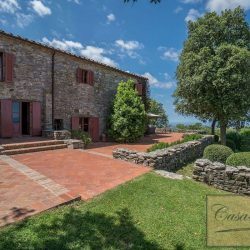 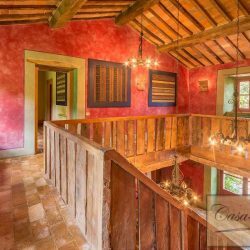 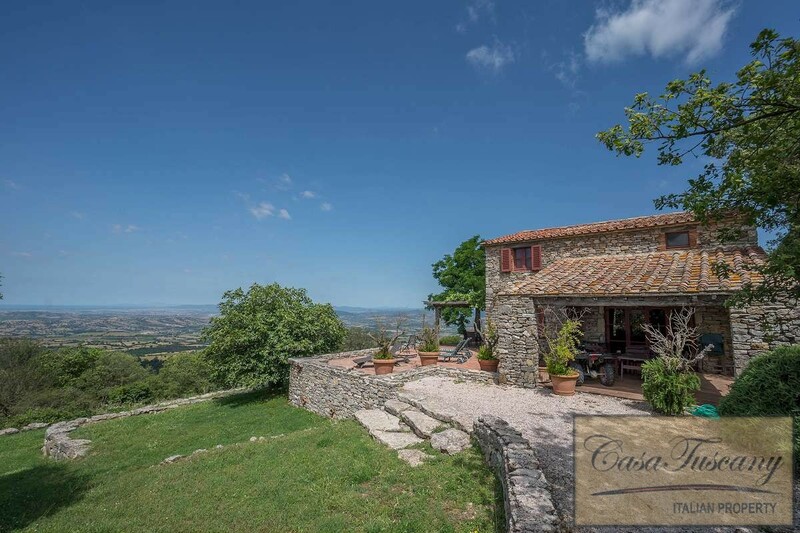 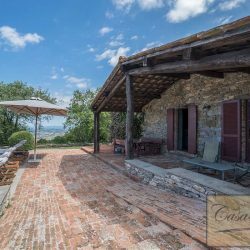 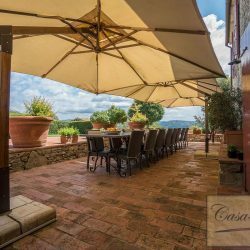 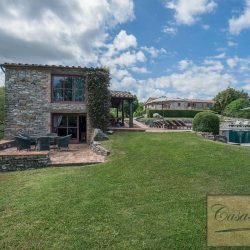 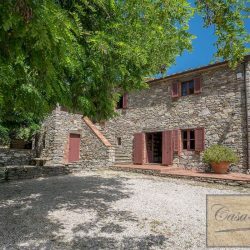 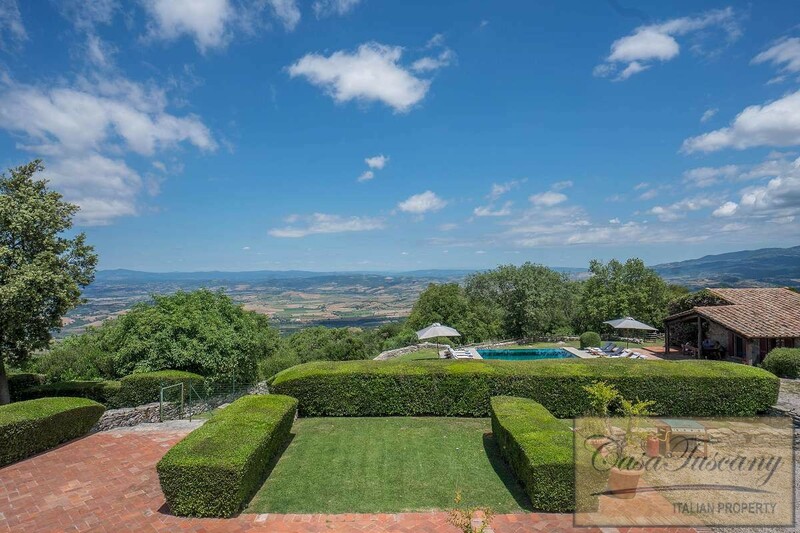 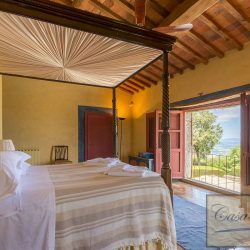 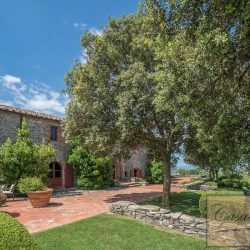 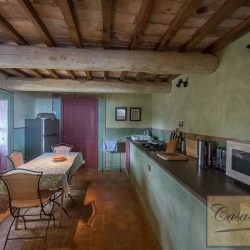 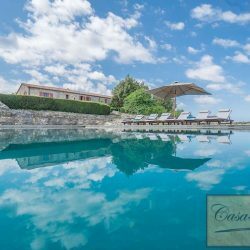 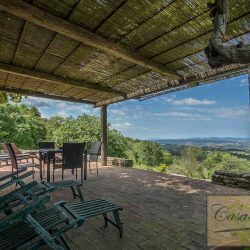 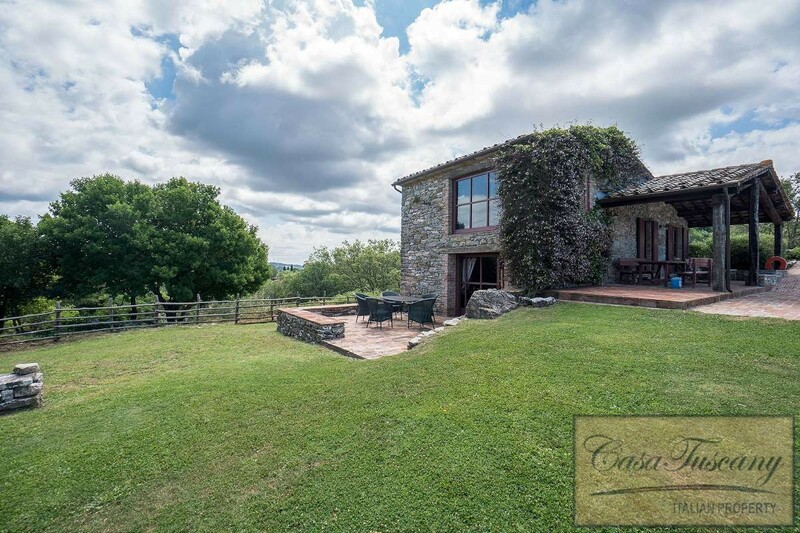 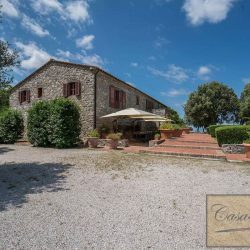 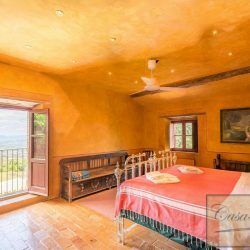 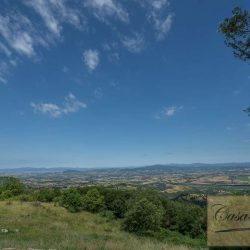 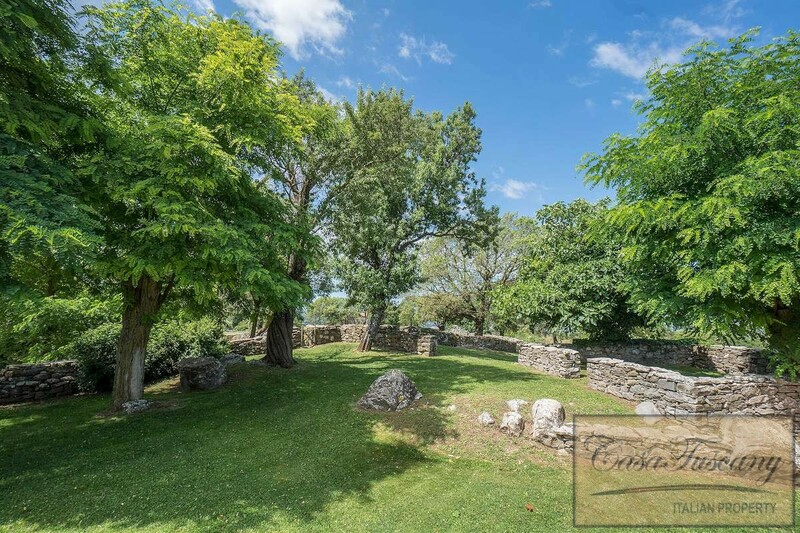 This wonderful restored stone farmhouse is located near Grosseto on the Tuscan coast, in a panoramic position overlooking the countryside as far as the sea. 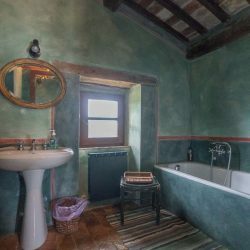 Its peaceful location combined with proximity to services and the attractions of the area, make it ideal as a private holiday home or an accommodation business. 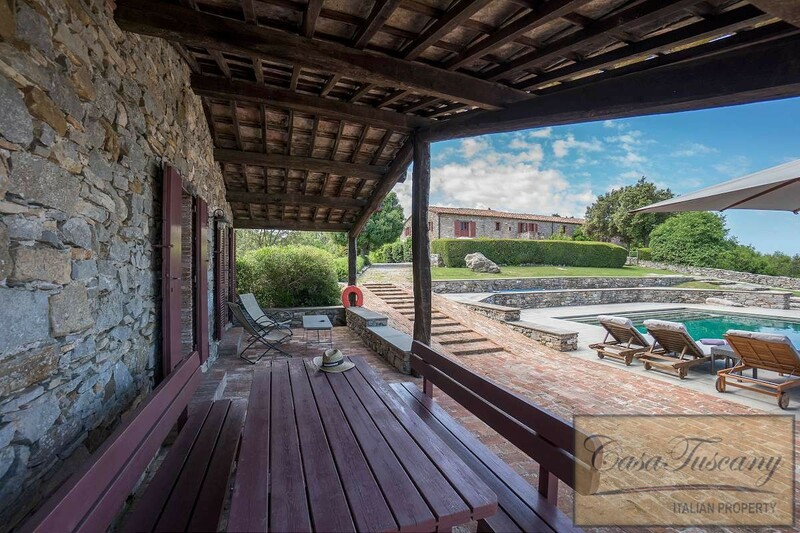 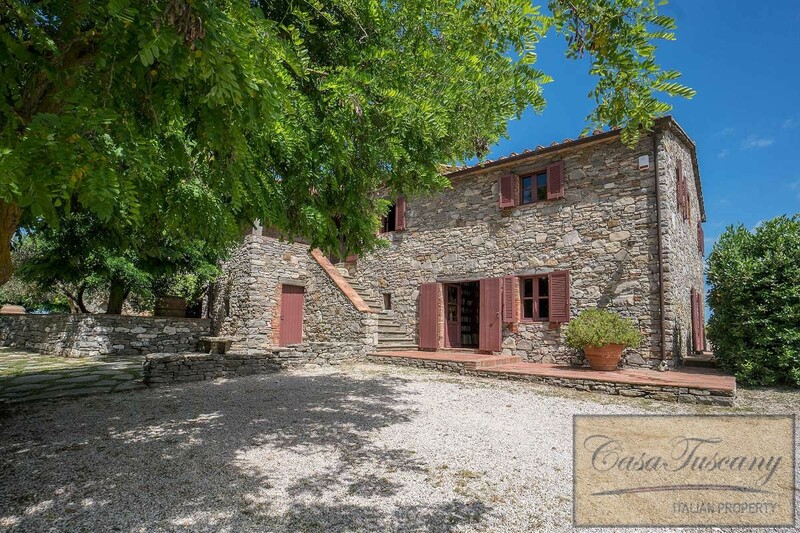 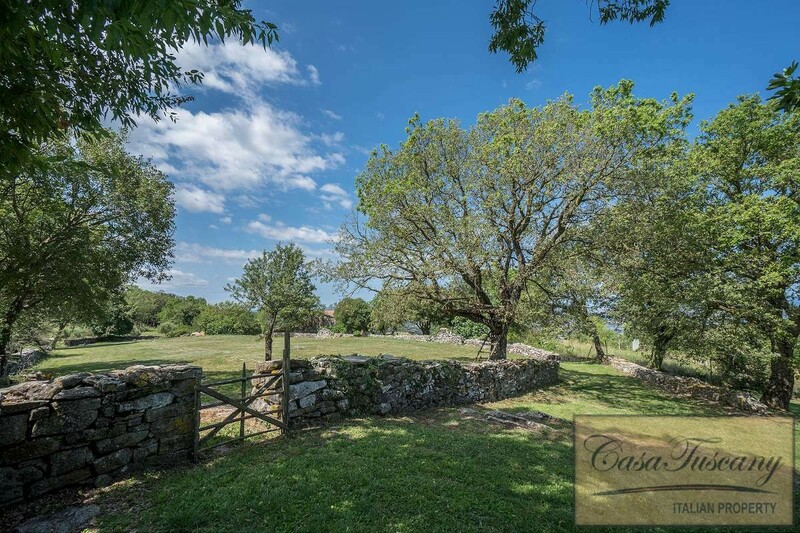 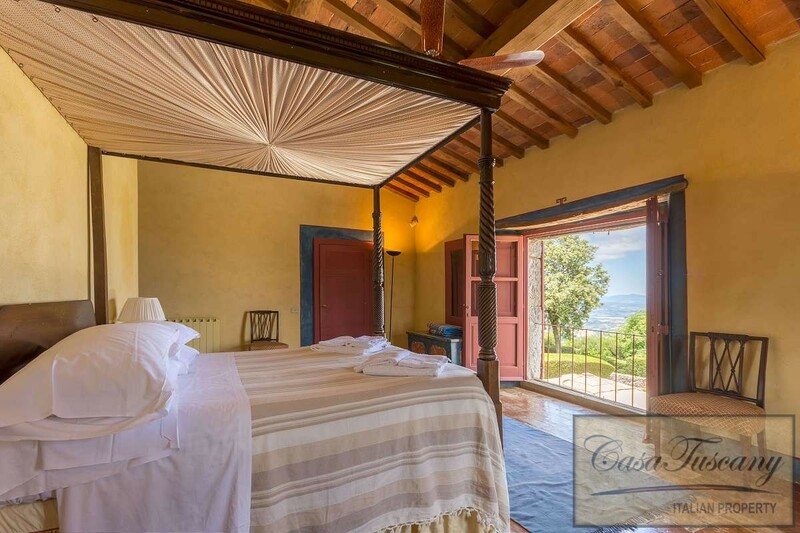 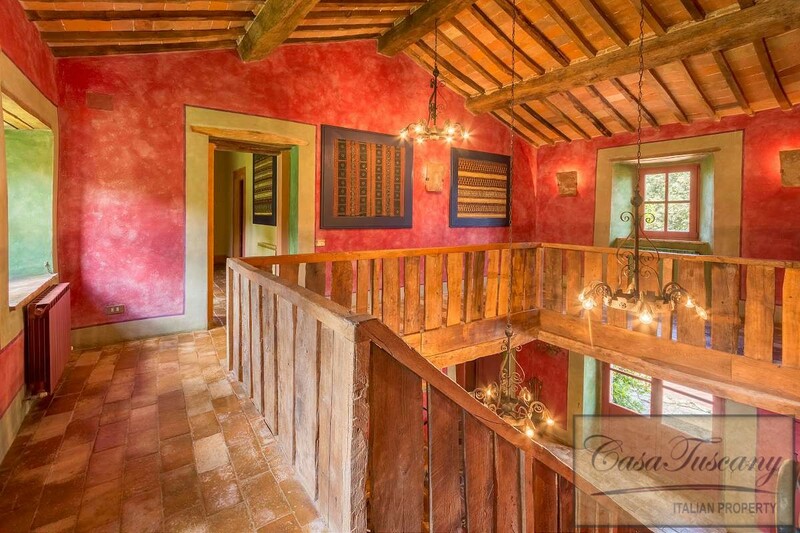 The property comprises a beautifully restored, 2 storey, 7 bedroom farmhouse of 600 sqm. 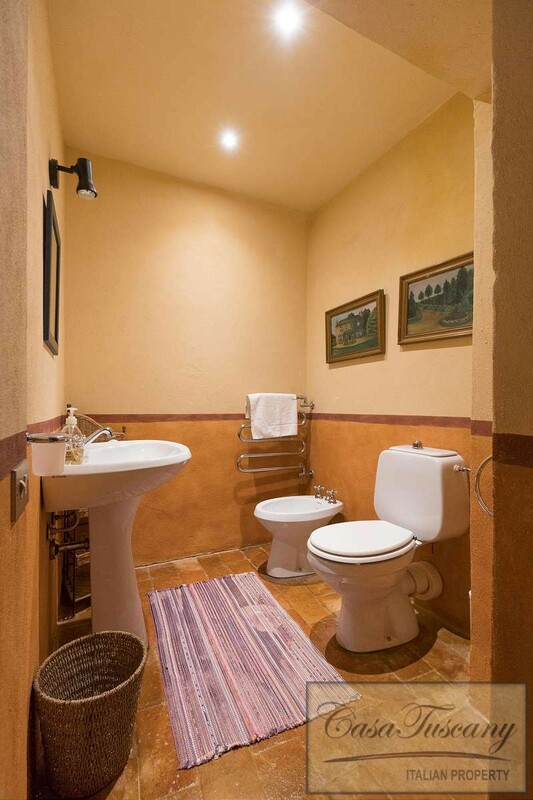 There are also 2 renovated annexes of 160 sqm and 130 sqm each housing a 2 storey, 2 bedroom apartment. 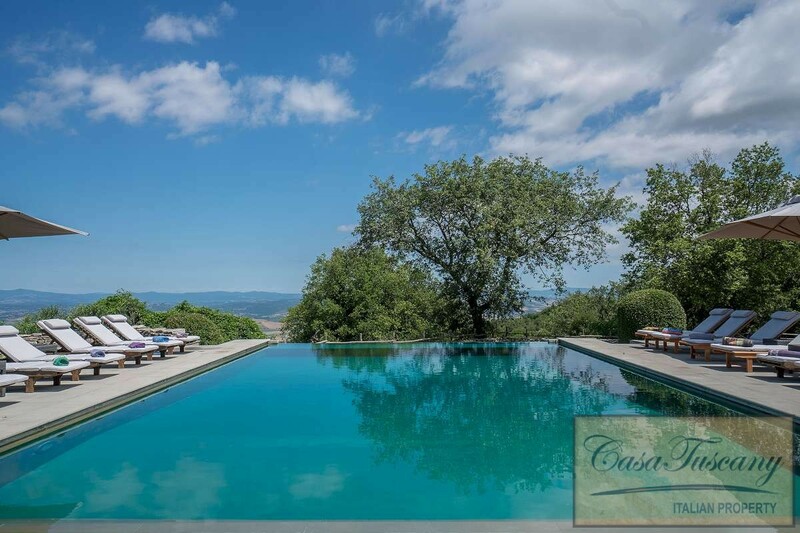 The buildings are surrounded by a landscaped garden with relaxation areas with a stunning panoramic infinity pool. 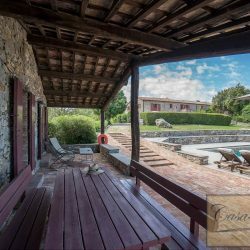 There are also plans available for the construction of a second pool outside the larger annex. 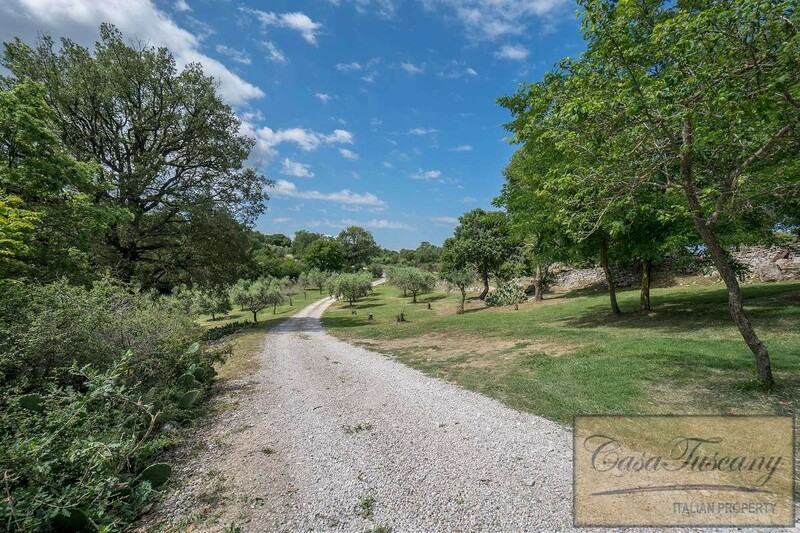 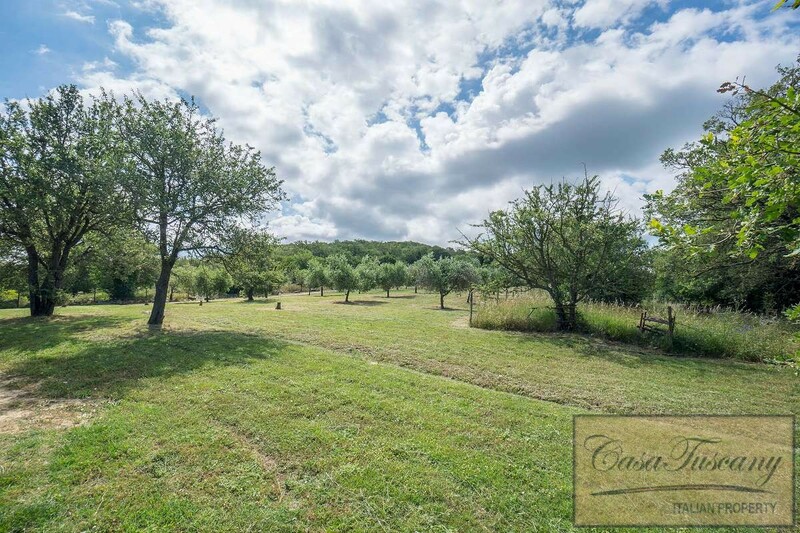 The sale includes 70 hectares of land with extensive woodland and 500 olive trees. 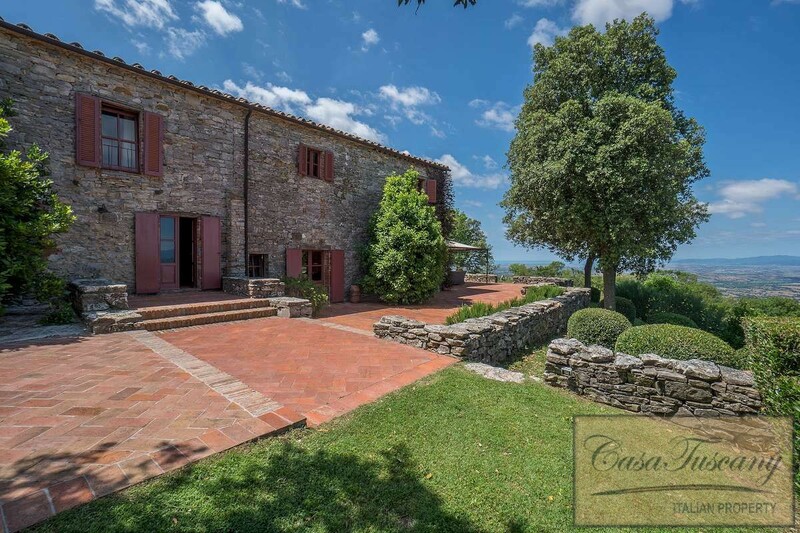 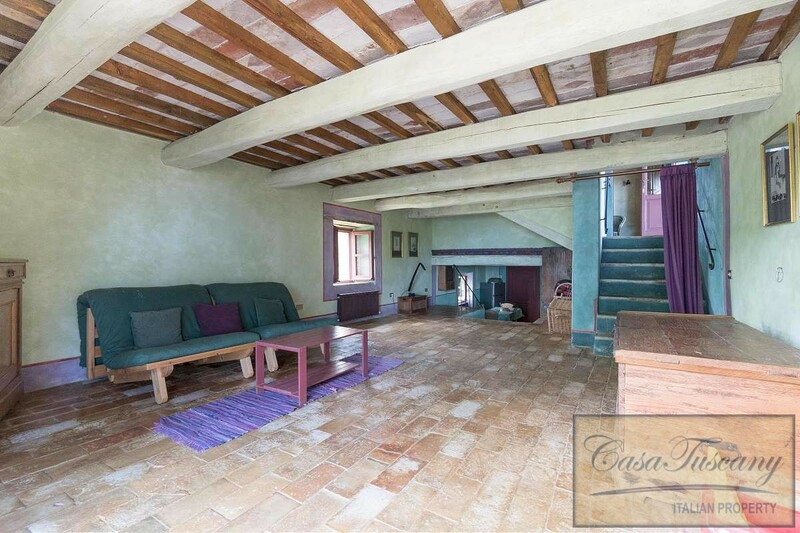 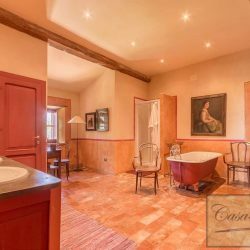 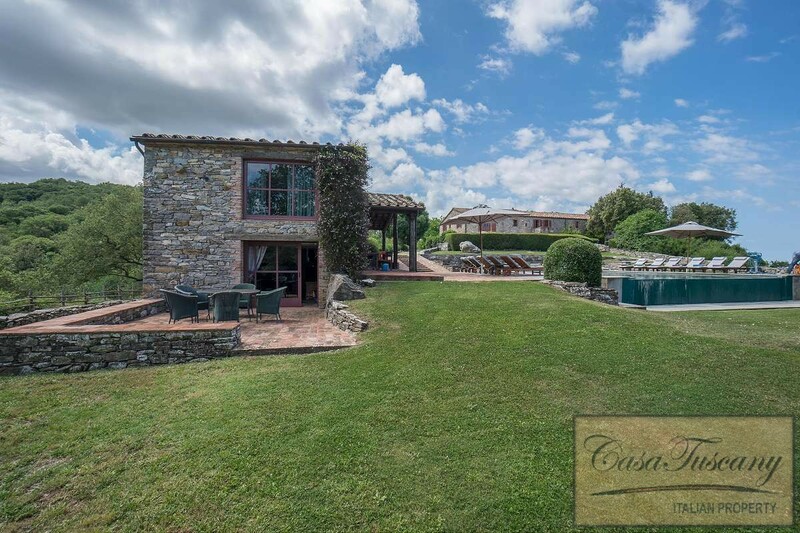 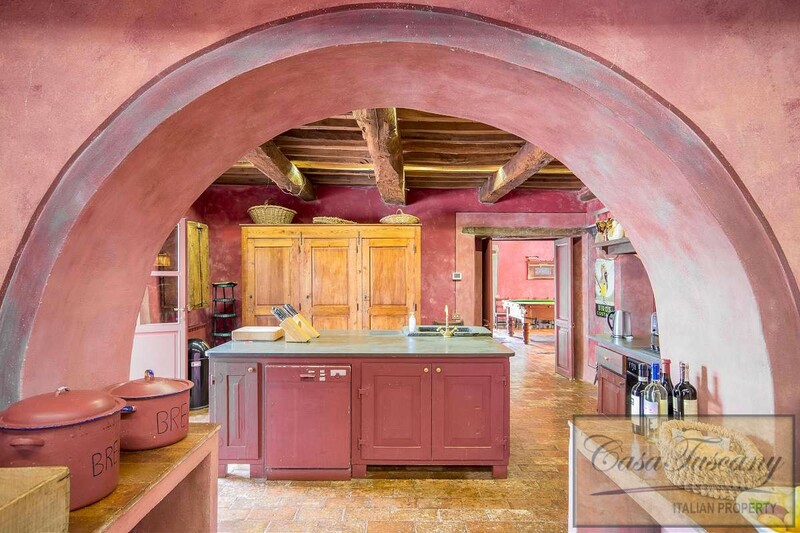 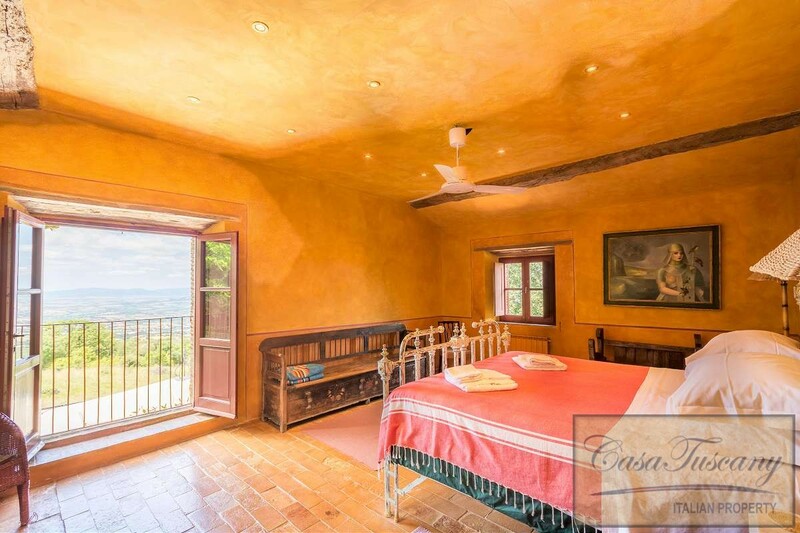 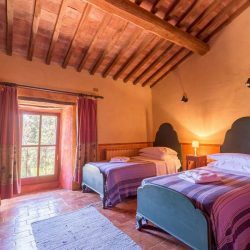 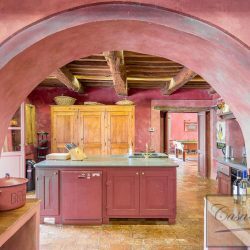 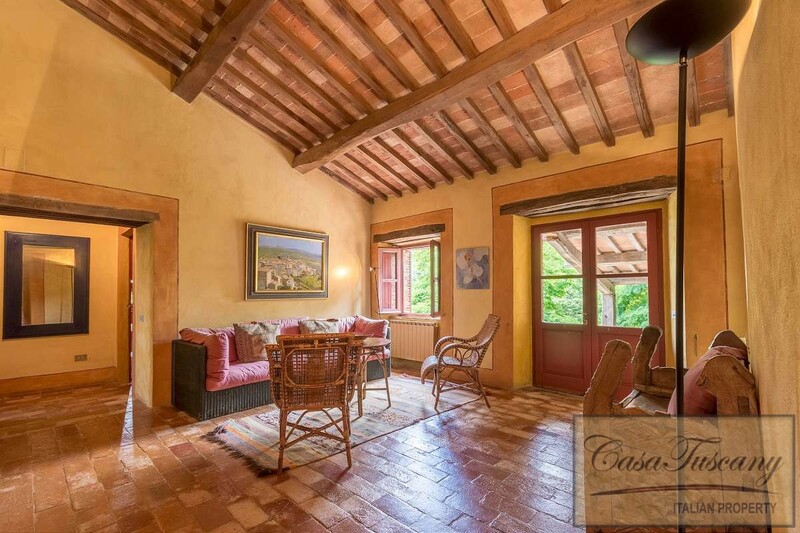 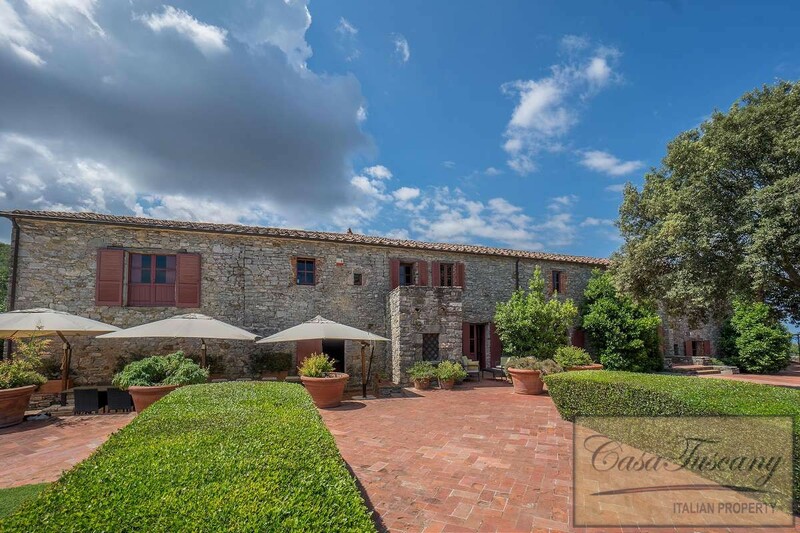 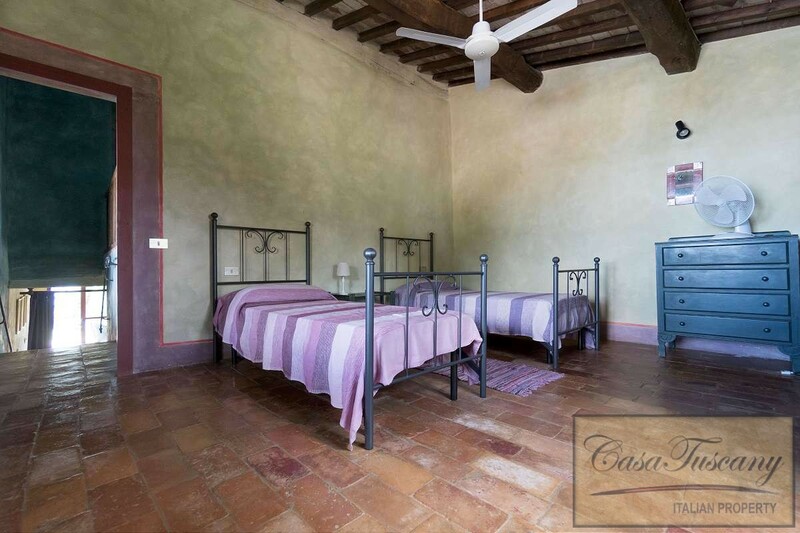 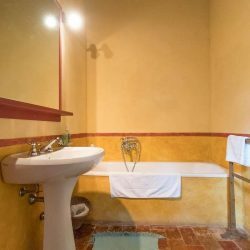 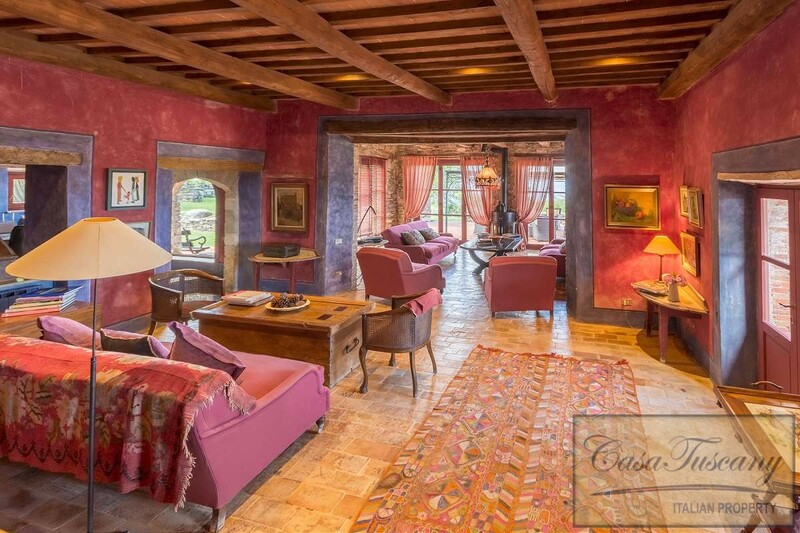 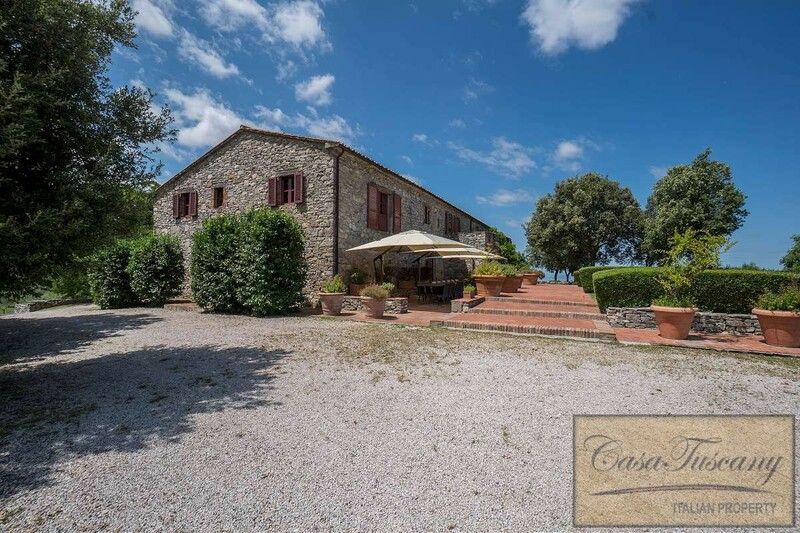 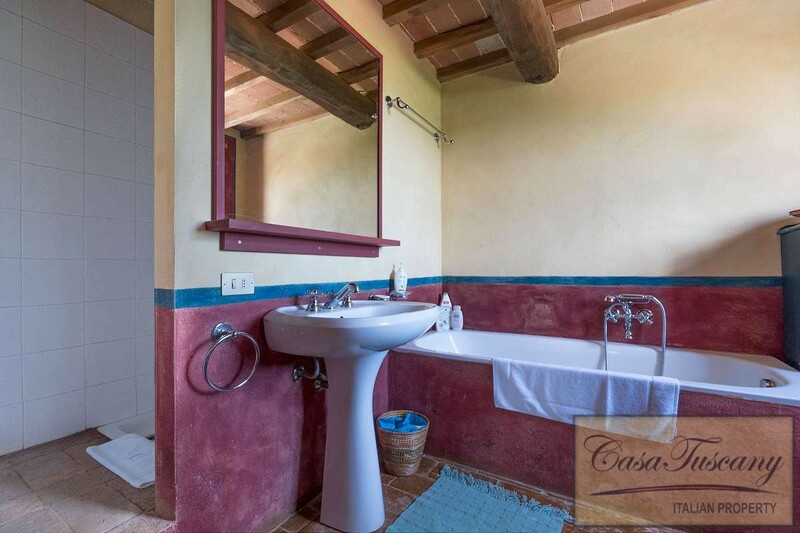 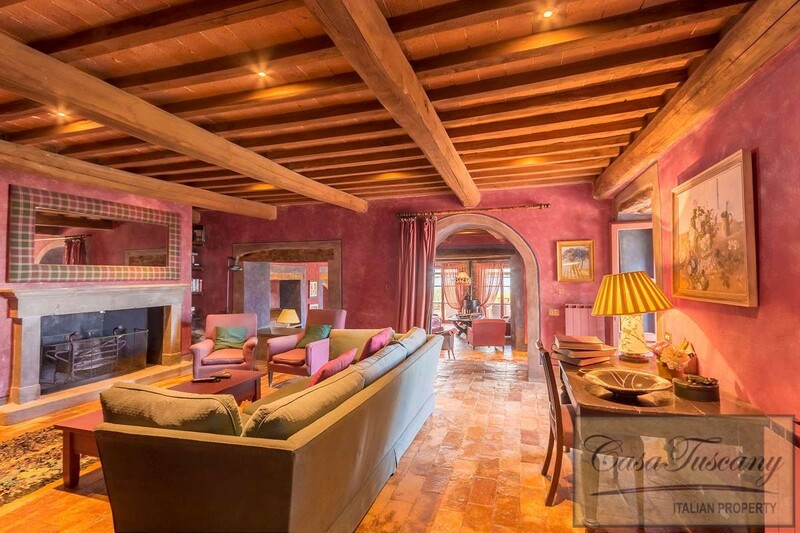 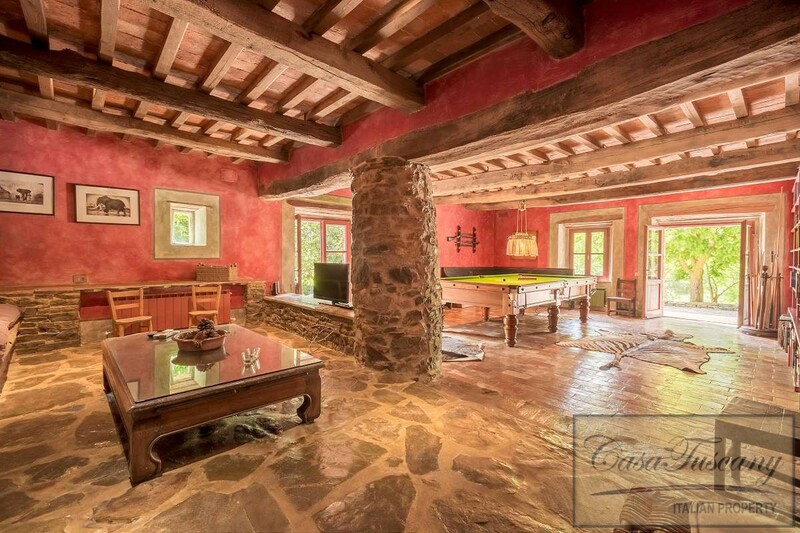 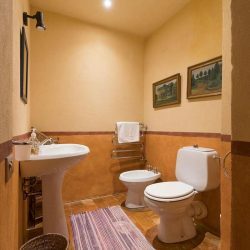 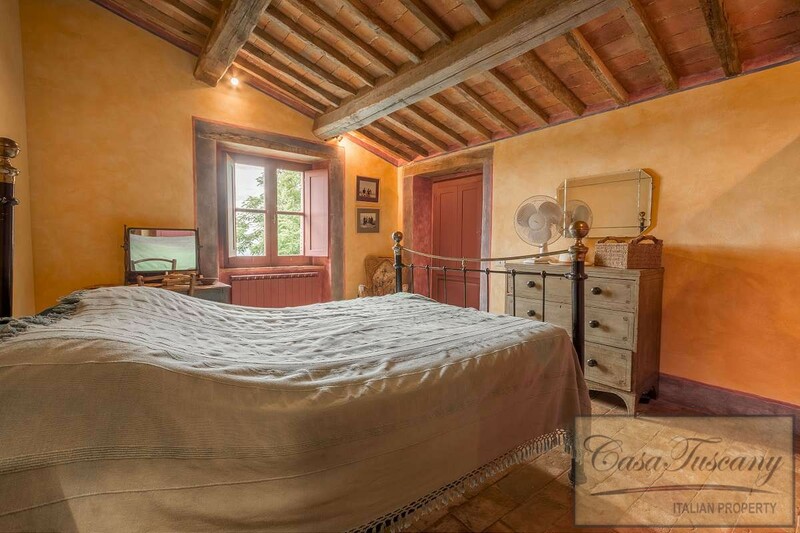 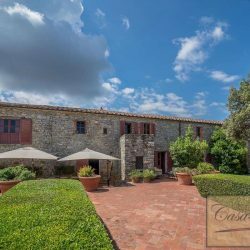 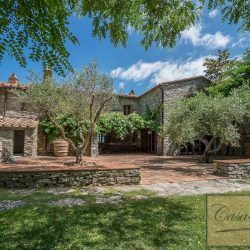 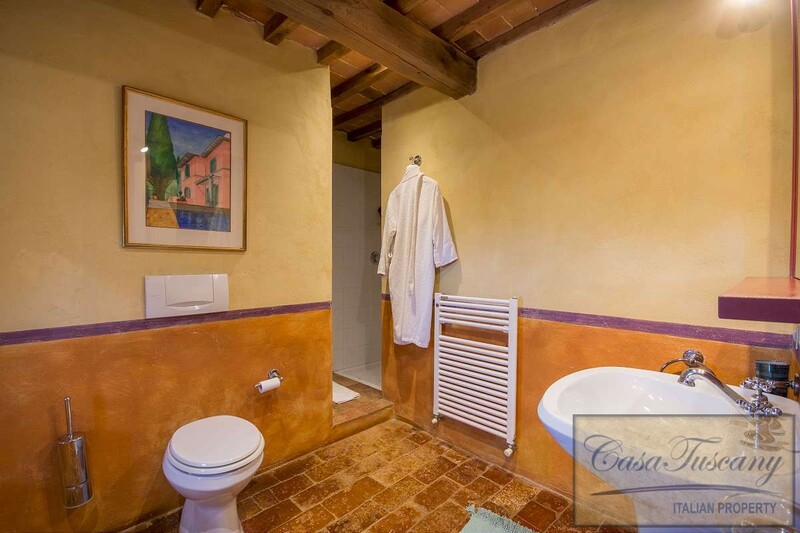 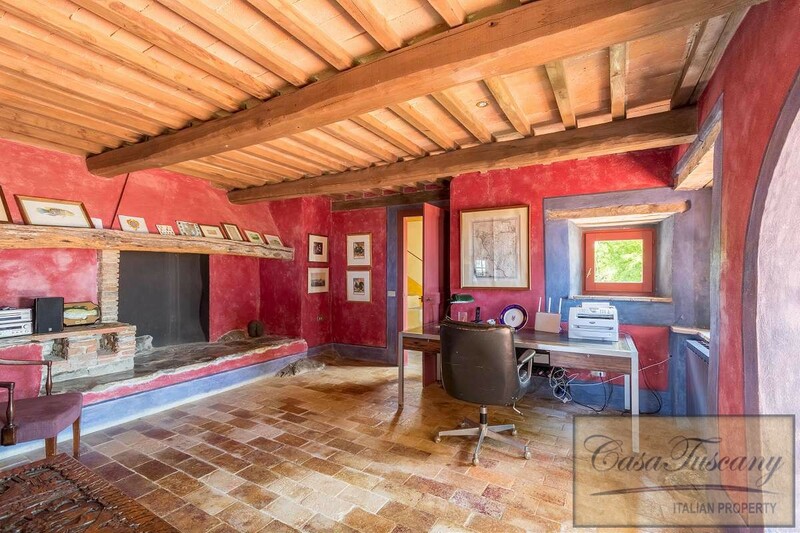 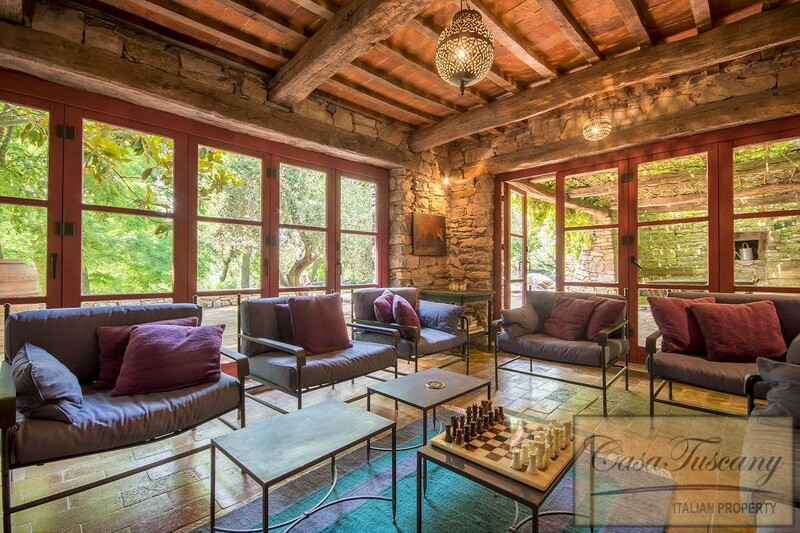 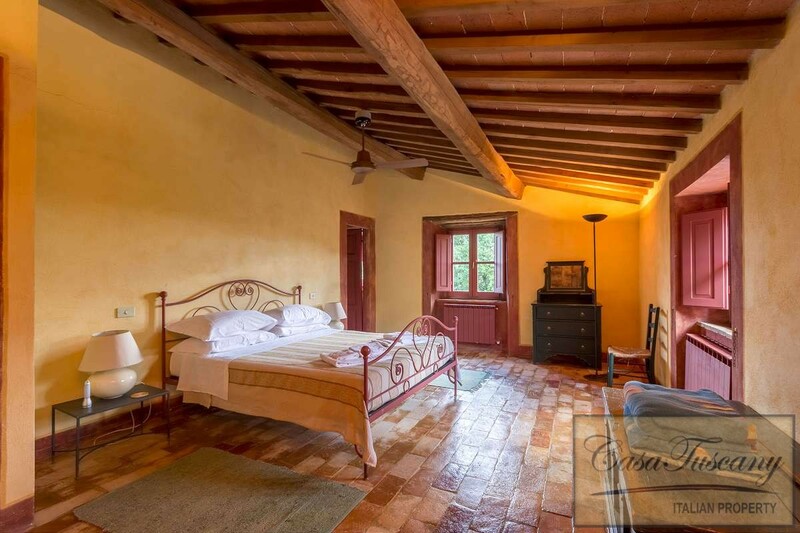 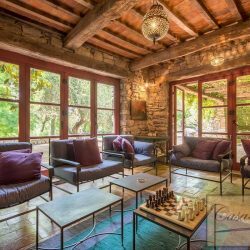 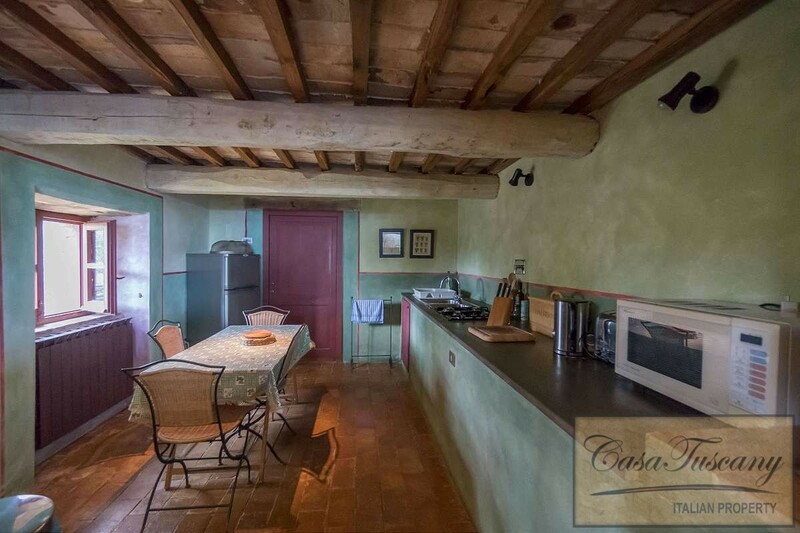 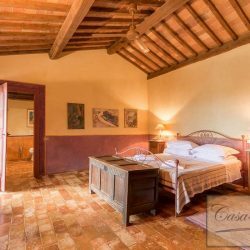 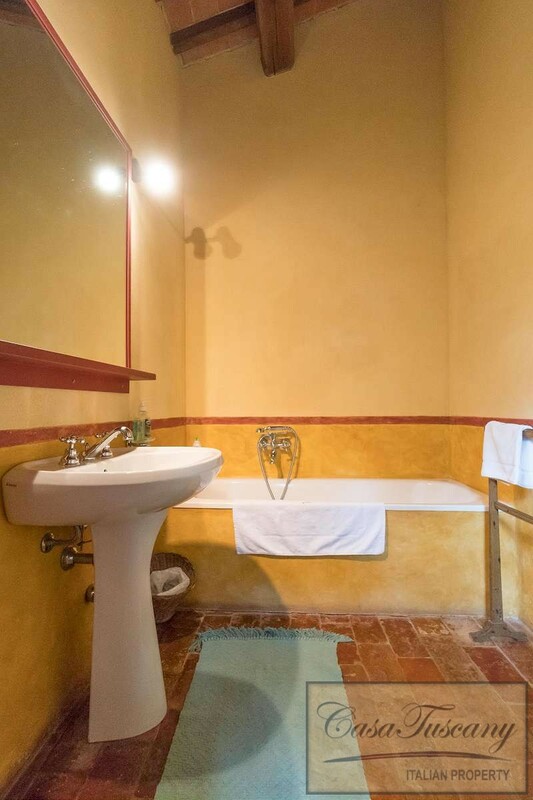 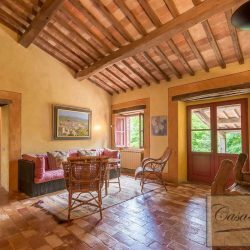 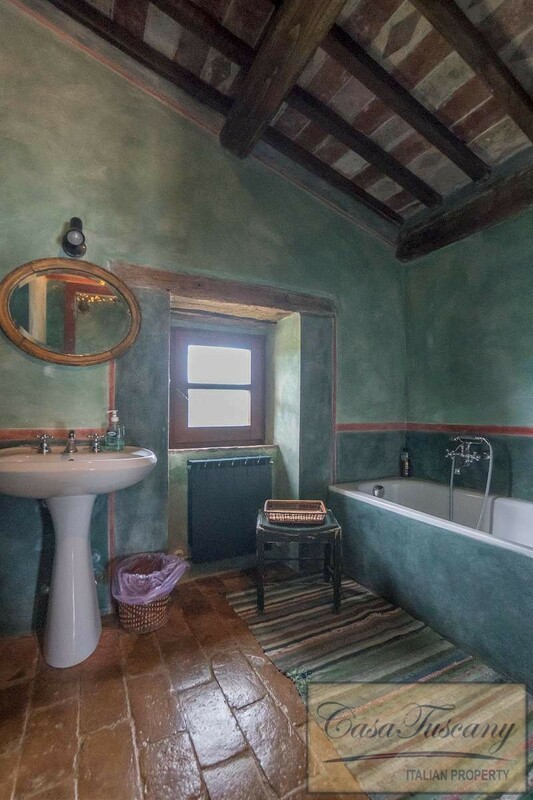 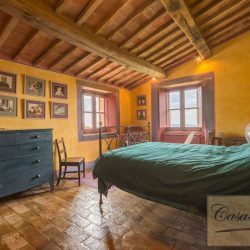 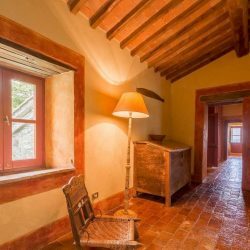 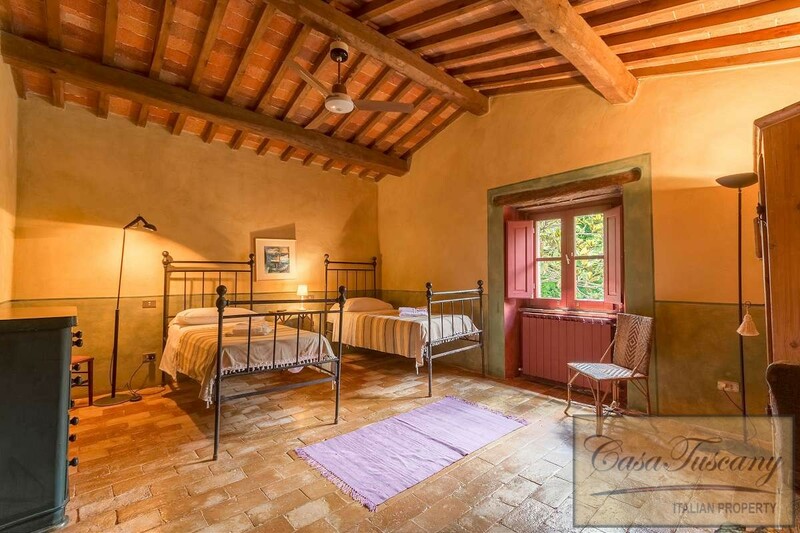 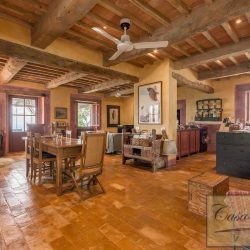 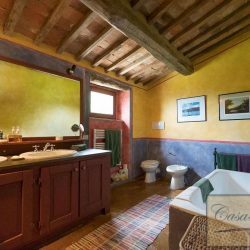 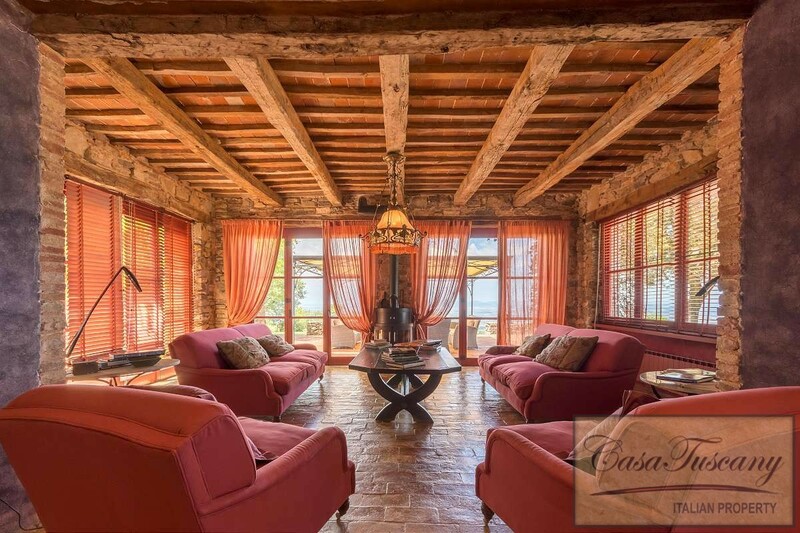 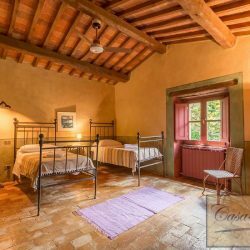 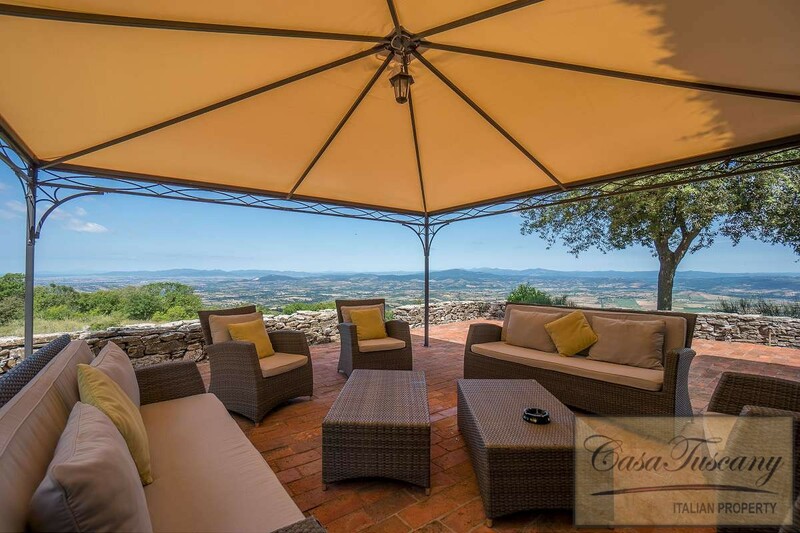 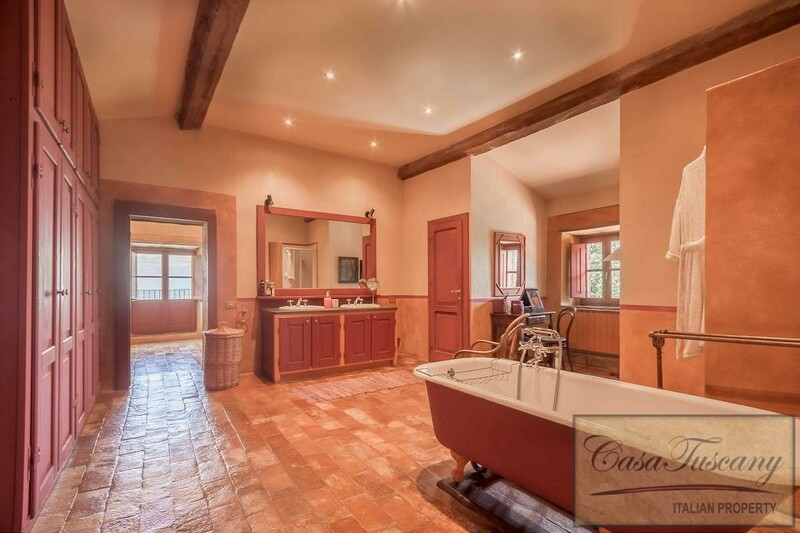 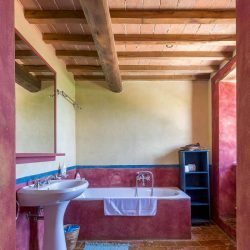 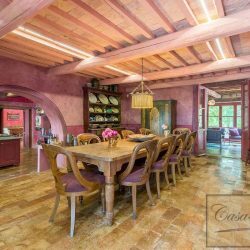 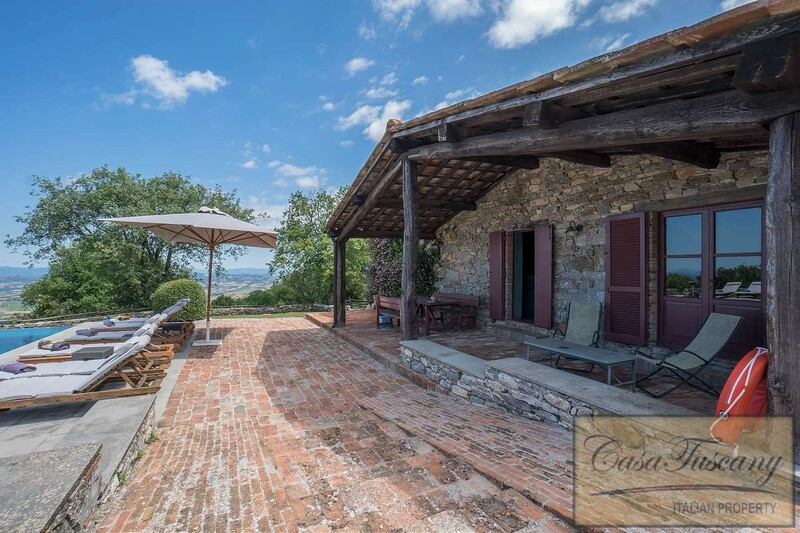 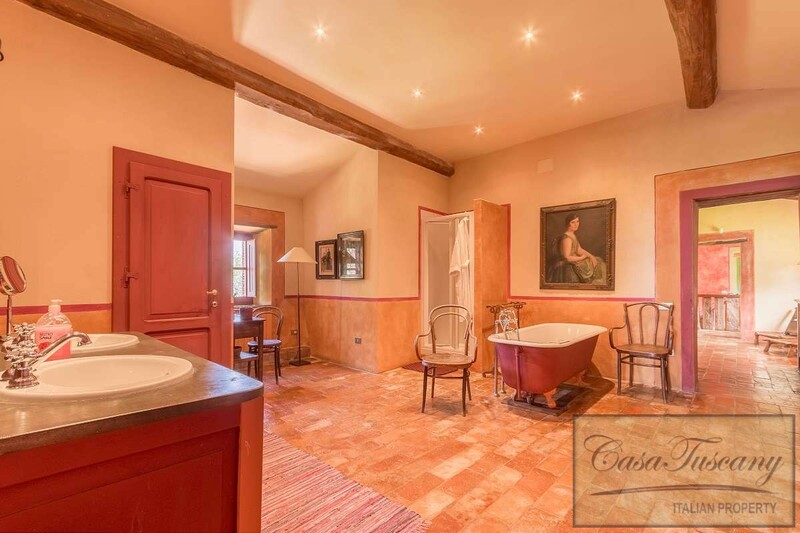 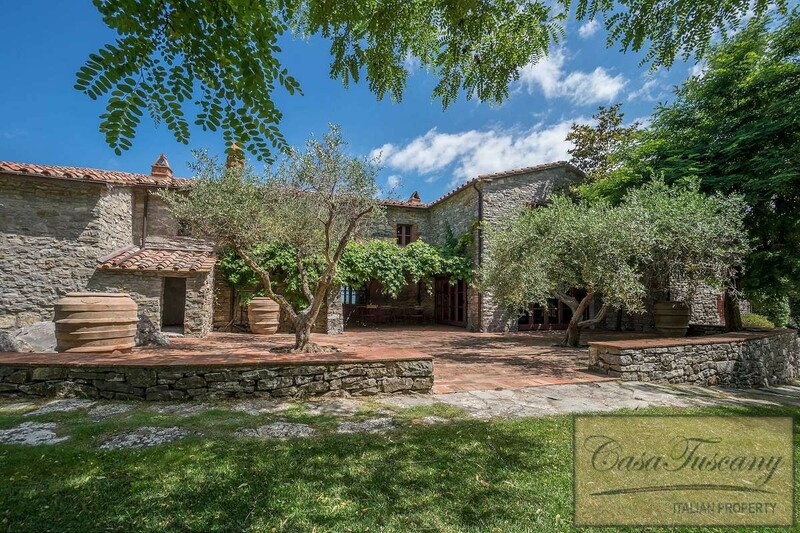 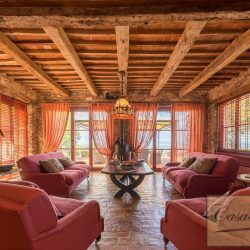 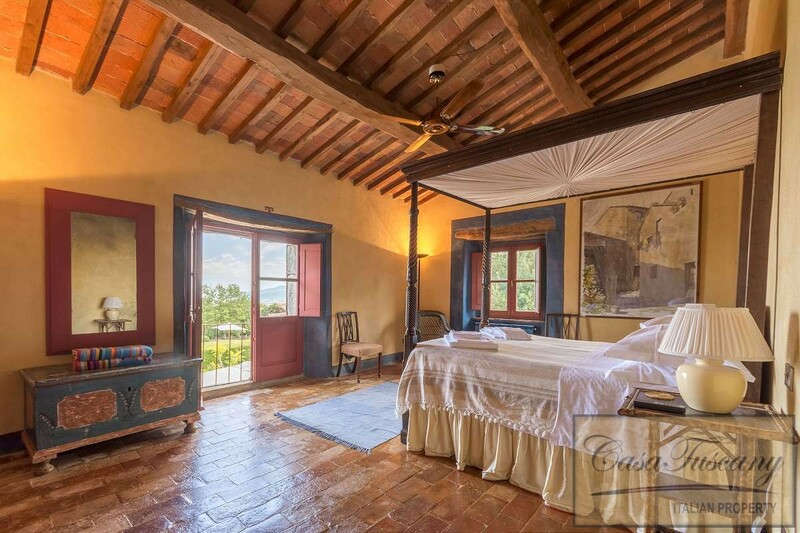 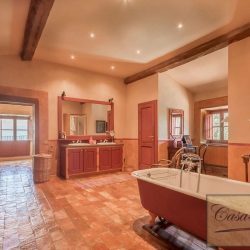 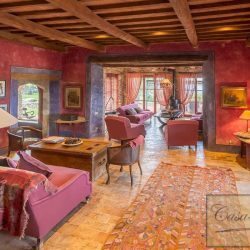 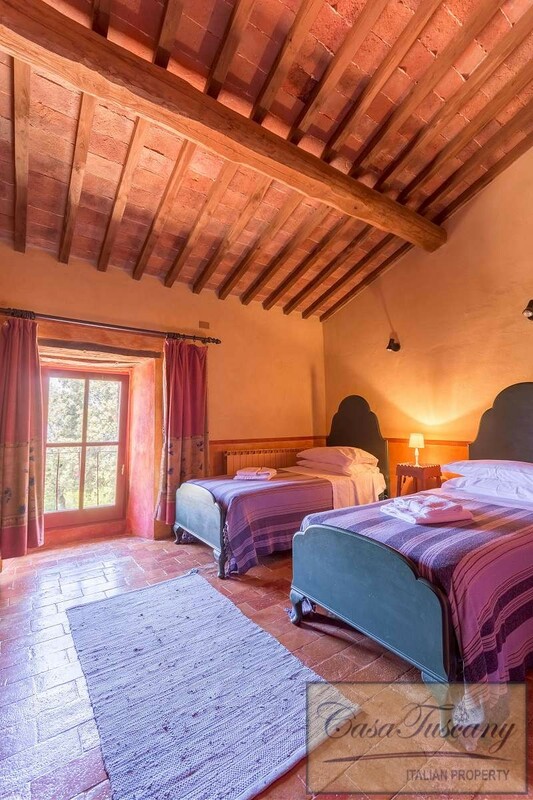 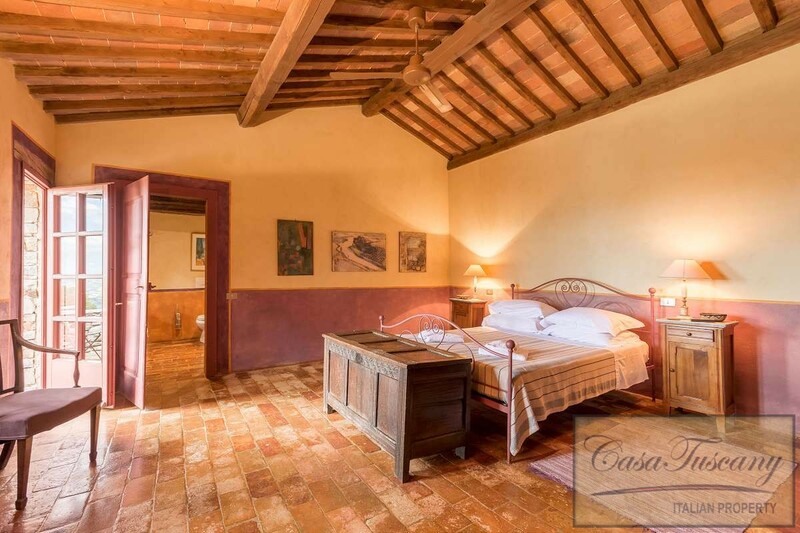 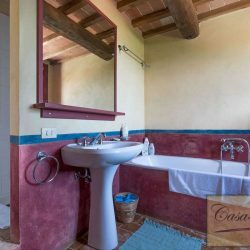 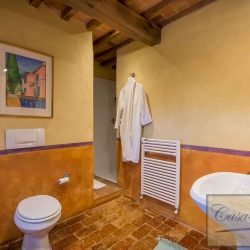 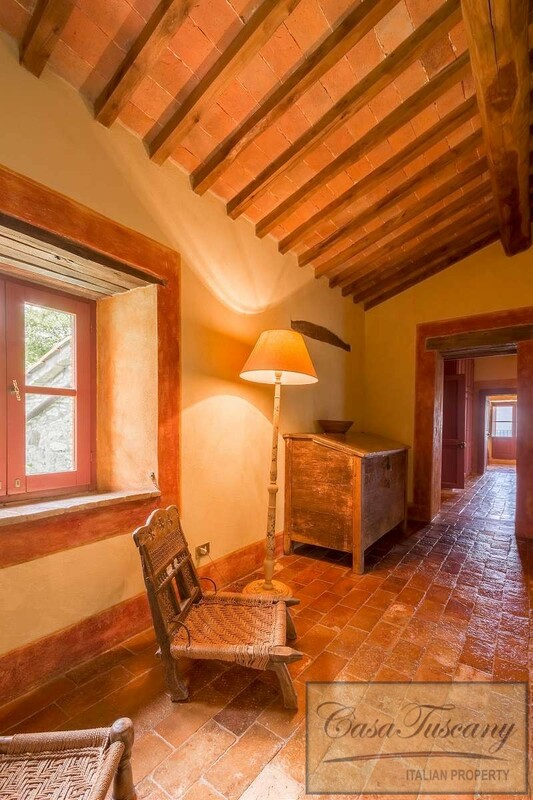 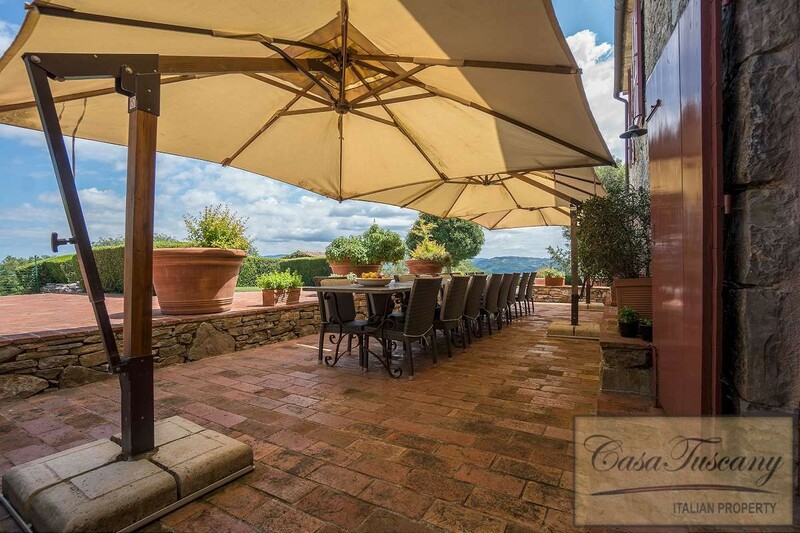 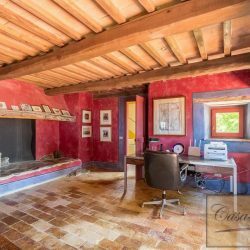 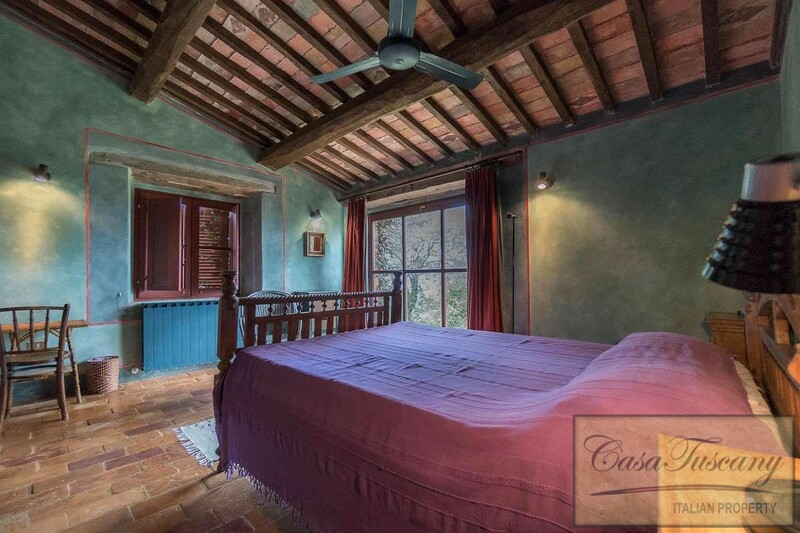 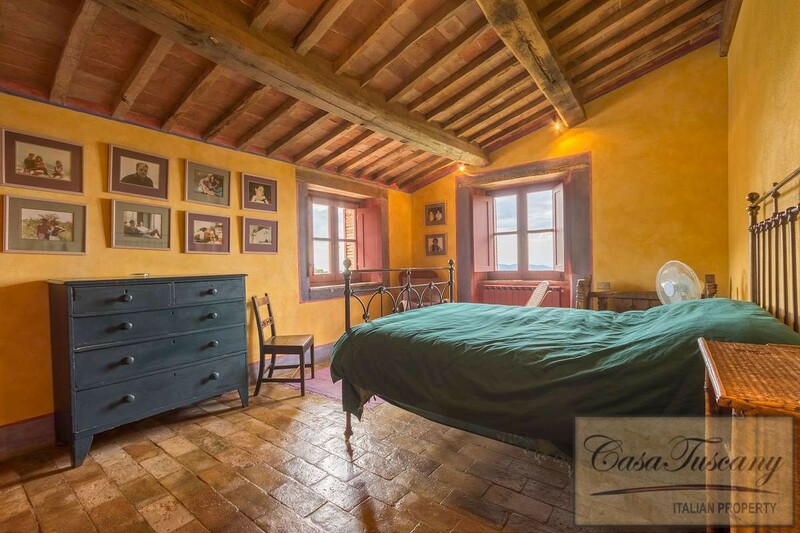 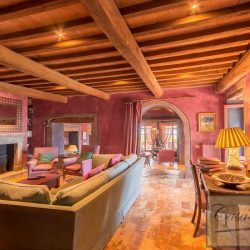 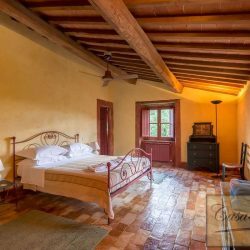 Fully and stylishly restored in 1999, the property has been finished to a high standard and retains a wealth of traditional Tuscan characteristics such as exposed wooden beams and stone and terracotta floors. 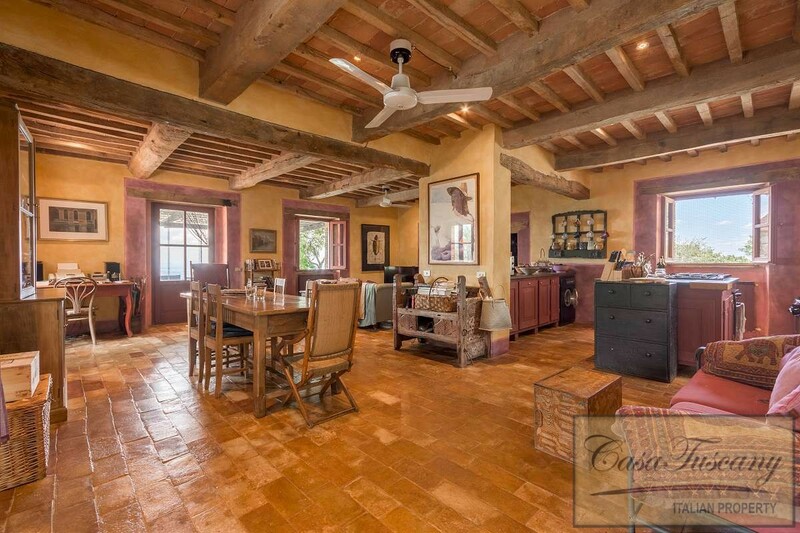 600 sqm on 2 storeys. 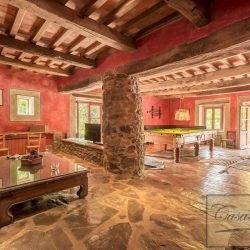 Ground Floor: Porch and terrace, 2 living rooms, TV room with fireplace, dining room with fireplace, kitchen, billiard room, study, bathroom, laundry, 2 closets. 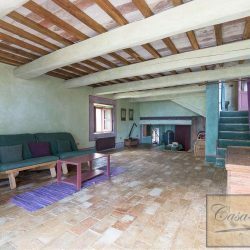 First Floor: Accessed via an internal staircase, living room, 7 bedrooms all with en-suite bathrooms, walk-in wardrobe, study, corridor. 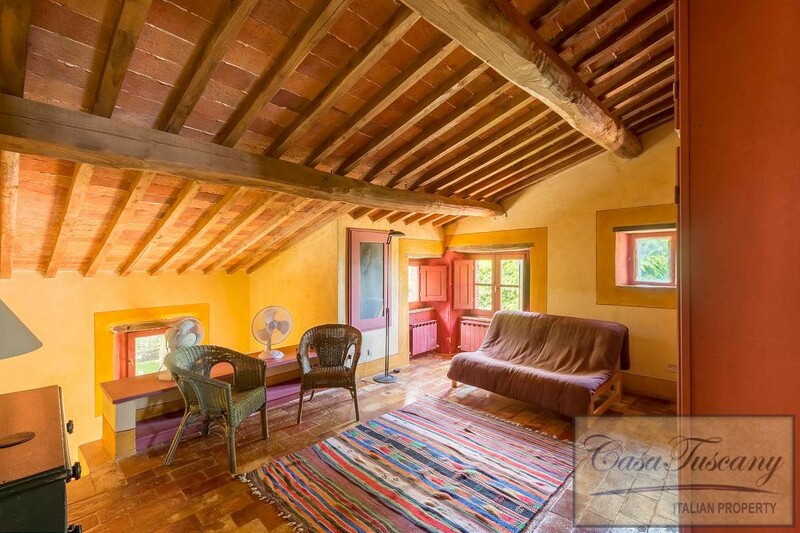 160 sqm on 2 storeys. 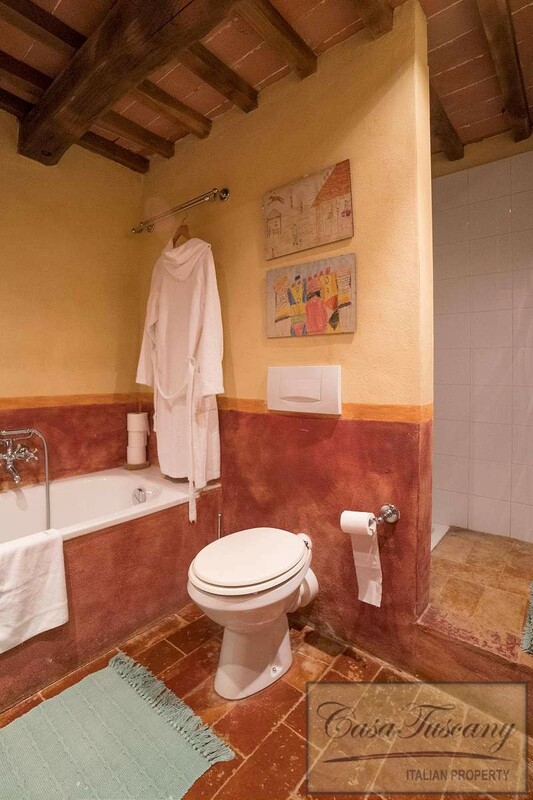 First Floor: 2 bedrooms with en-suite bathrooms. 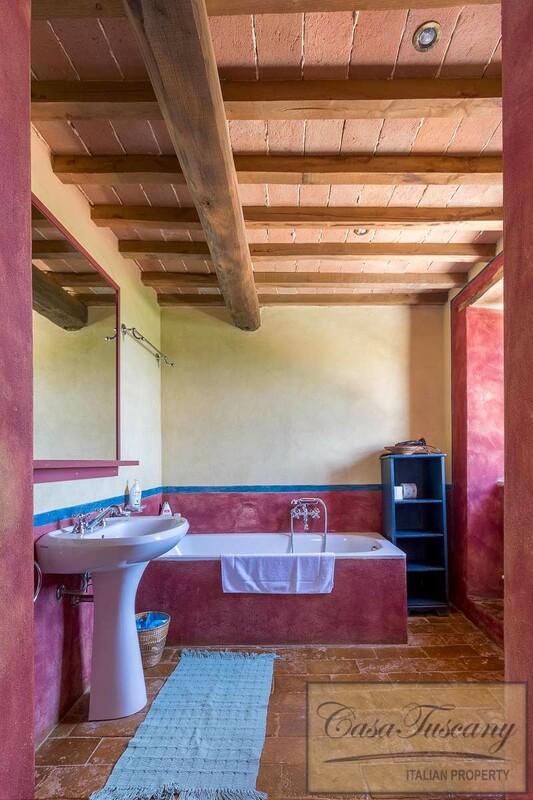 130 sqm on 2 storeys by the pool. 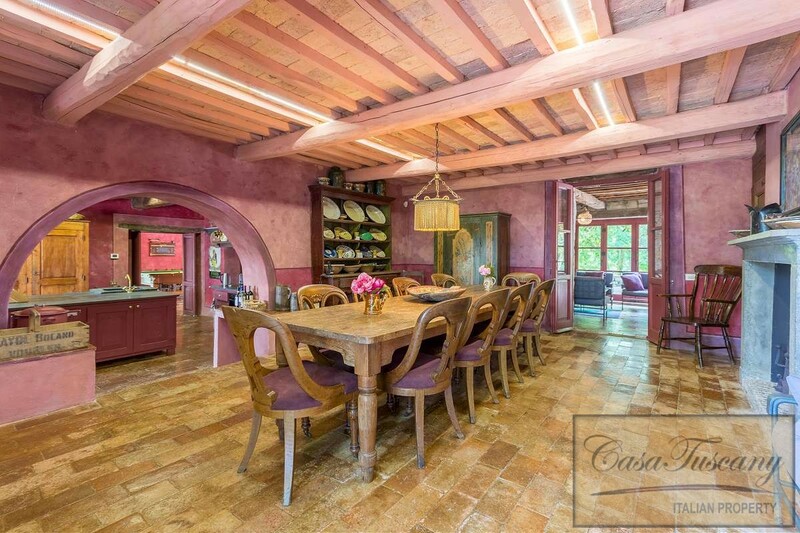 Basement: Lunchroom, kitchen, storage area. 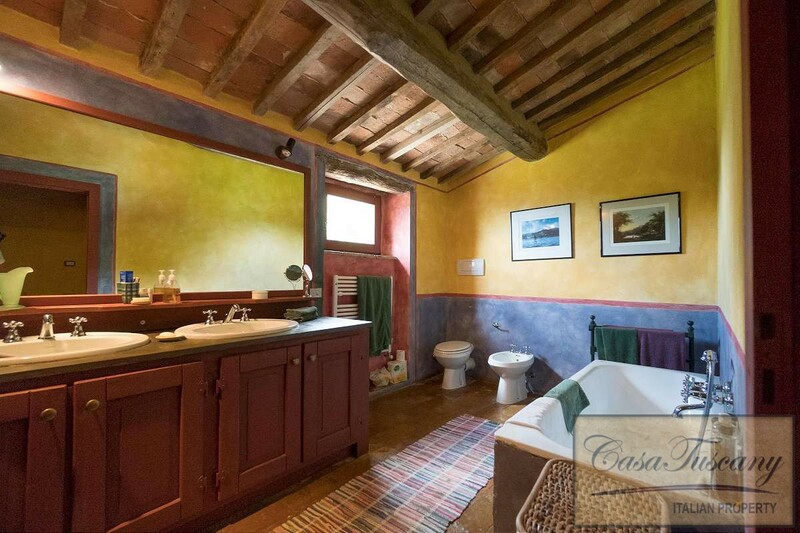 Ground Floor: Porch, 2 bedrooms, bathroom. 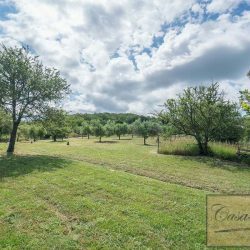 70 hectares of land with woodland and 500 olive trees. 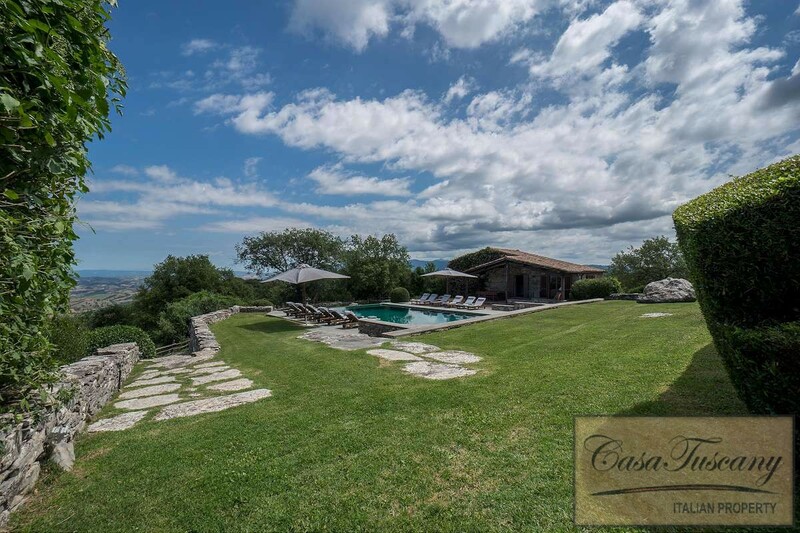 Garden with irrigation system and panoramic infinity pool of 13 x 7 m (LPG heated, electric cover, chlorine). 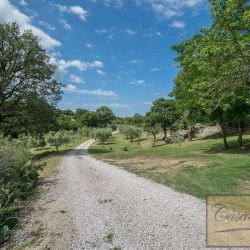 There are also plans to build a second pool near an annex. 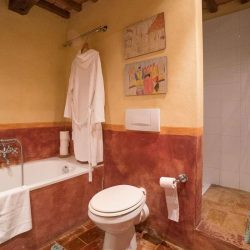 Radio Wi-Fi, LPG heating with radiators, mains water and electricity, well for irrigation, video security system, alarm system, gardening staff available. 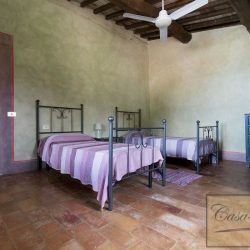 Florence 154 km, Rome 176 km, Perugia 187 km.